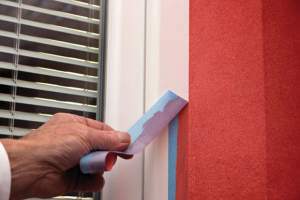 Preparation is a key element in ensuring a professional finish, in particular when it comes to masking up to protect carpets, windows and other substrates. With a wealth of tapes available from Brewers it can be difficult to know which tape suits which surface and situation. Here Brewers take a look at key areas of consideration when deciding which tape to use for a particular purpose so that you get perfect adhesion, eliminating problems such as paint bleed. 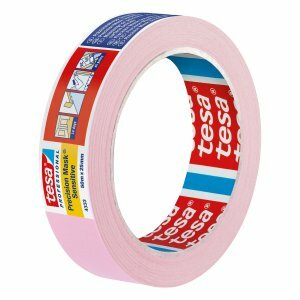 Weather-resistant adhesive tapes are required for use outdoors. They must be stable to UV radiation and moisture so that no adhesive residues are left and the tape does not keep tearing when it is removed. Material (wood, metal etc.) and if it’s smooth, rough or textured: The rougher a substrate, the stronger/thicker the layer of adhesive compound needs to be. Take note of any unusual edges that may need to be masked off when assessing your job as there are specialist tapes available to handle curves. The strength of the substrate needs to be greater than the adhesive strength of the adhesive tape so that no damage is caused when the tape is removed. Adhesive tapes should only be applied at temperatures between 5 and 40 °C. At lower temperatures, adhesion on application drops significantly. 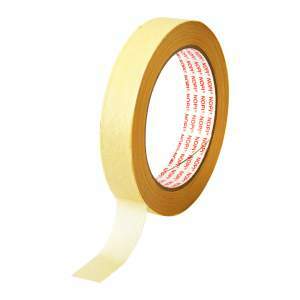 Adhesive tapes should always be pulled off slowly, steadily and never in jerks. This will stop surplus residue and tearing of the adhesive tape. Time of usage is an important point when selecting a product as virtually all tapes’ adhesion strength will increase over time. Ideally you should remove adhesive tapes immediately while the paint is touch-dry, but before it is fully cured. 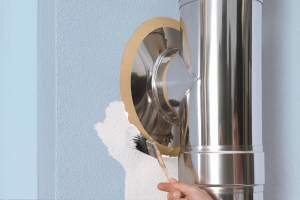 Normal painting work does not put adhesive tapes under much mechanical strain, but work involving filler or plaster will. This type of work demands products which, unlike paper adhesive tapes, do not immediately give up on contact with a trowel, mortar and lots of water. Correct storage maintains quality, the rate adhesive tapes age is influenced by temperature, as well as storage time. High temperatures can easily cause adhesive tapes to sustain damage (breakdown of the adhesive, resulting in a tendency to leave residues when tape is removed). Cold or hot rolls of adhesive tape should be acclimatised to ambient temperature before being applied. This should be taken into account when adhesive tapes are stored in frosty or hot conditions – in construction site vehicles for example. 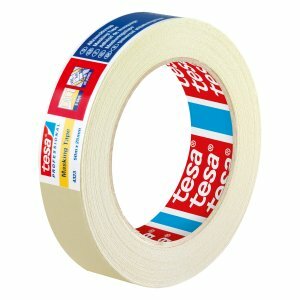 Each Brewers branch stocks tapes from the tesa professional tape range. Pop into your local branch for advice on the best tape for your job. For more tips of the trade and information on the range of products available from Brewers don’t forget to join the Brewers community on Facebook and Twitter.